Edraw offers you a number of ready-made WBS diagram templates which you can reuse and redesign to improve the project planning process. A WBS diagram is a hierarchical representation of the elements and sub-elements in a project. 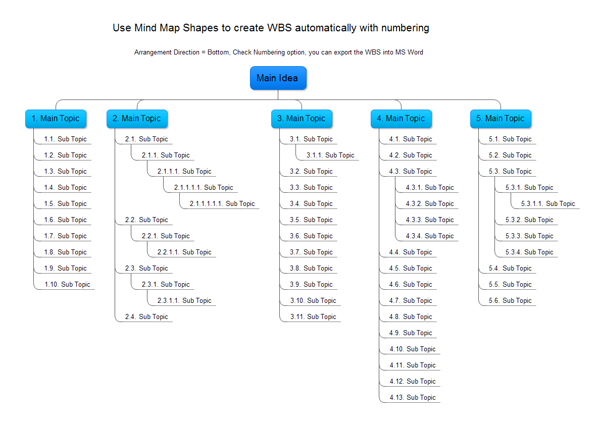 It can be easily created from blank WBS Diagram templates in Edraw Max software. 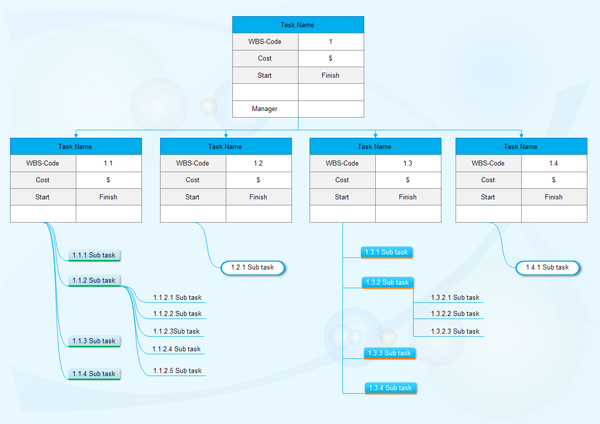 Here is one more work breakdown structure. It divides the software development and implementation into 5 smaller tasks. You can move and edit the shapes freely and the connector will stay connected to the shapes, unless you delete them. Arrangement Direction = Bottom, Check Numbering option, you can even export the WBS into MS Word.